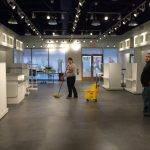 We are providing your commercial janitorial cleaning services, initial office cleaning janitorial services and all other types of cleaning services. Ménage total cleans it for you and according to your requirements and desires. 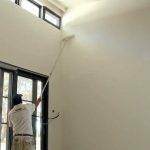 We are offering you the best commercial janitorial services on different kinds of commercial cleaning agreements. Like daily commercial janitorial cleaning services, weekly janitorial cleaning services, biweekly and monthly janitorial cleaning services. 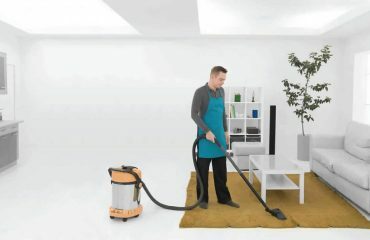 Our cleaning teams are professionally trained to provide you the best janitor cleaning services as they have enough office janitorial cleaning training. Ménage total initiated many training and development programs for its janitorial cleaning staff. Like initial janitorial cleaning services training, best janitor cleaning services training course, daily office janitor cleaning course. Ménage total has professionally trained cleaners which have learned all of these janitorial cleaning courses and training from our employee training and development process. We are committed to providing you the best quality janitorial cleaning services according to your needs and requirements. You can hire our janitorial commercial cleaning services on a daily basis, weekly basis, biweekly basis, and monthly basis. All of our commercial cleaning and janitorial services are available for you on different kinds of agreements like daily cleaning and janitorial services, weekly cleaning and janitorial services, biweekly and monthly janitorial and cleaning services. 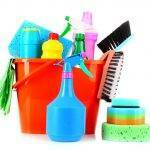 Our commercial janitorial and cleaning services are available for you 24 hours and 7 days and week. You can hire our best janitorial services at any time and on any agreement.